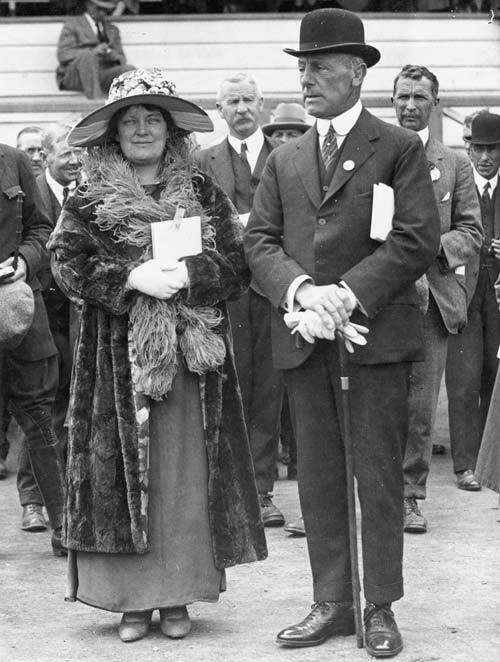 Governor General Jellicoe visits Levin, early 1920’s. The Governor General and other dignitaries stand in front of the Century Hall, which was situated on the south west corner of the Queen Street / Cambridge Street intersection. A large crowd has pressed forward towards the dias and three police officers stand amongst the large number of people.